Snow days were great, and if you have the opportunity to get one as an adult, you should absolutely take it. 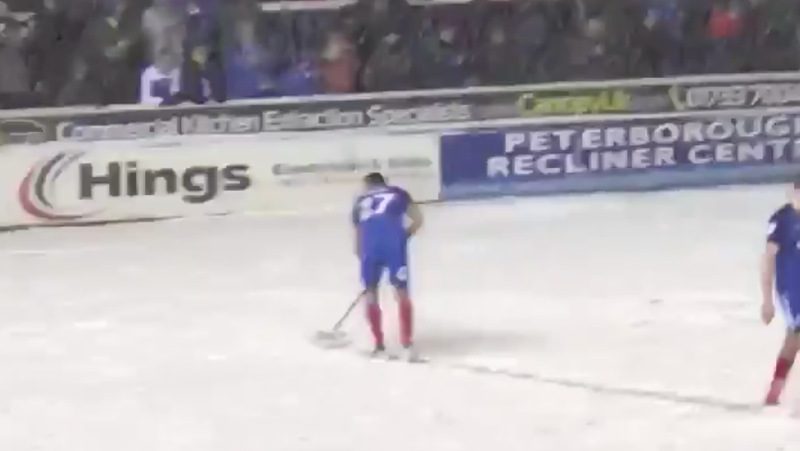 But props to third-tier English soccer team Peterborough United for powering through and doing the absolute most they could do to avoid going home early on account of the late-February flurries. Peterborough were battling through the weather and held a 2-1 lead on Walsall in the 80th minute when the ref called a halt to the game due to a lack of visibility. 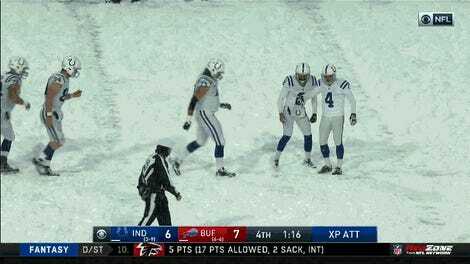 But The Posh weren’t going to let a little snow ruin their chance at a mid-week win, and they worked hard to get the game restarted. The Premier League veteran Steven Taylor led the charge, grabbing a broom and doing the dirty work to make the lines on the pitch visible again. That’s a bad example of teacher’s pet behavior from Taylor, but in this case, it’s cool, and his work ethic paid off. After just seven minutes, the match got going again, and Taylor’s team held on for all three points.